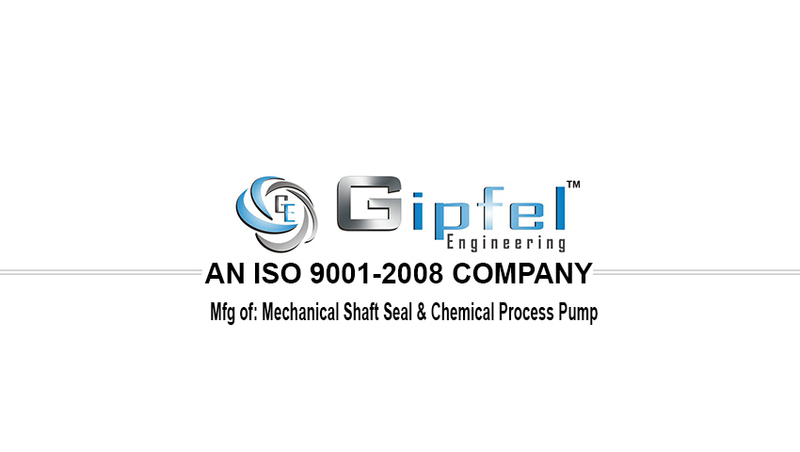 Incorporated in 2012, Gipfel Engineering is a widely accomplished manufacturer, exporter and service provider of Chemical Process Pumps & Mechanical Seals. Our product line includes Component Mechanical Seal, Bellow Mechanical Seal, and Cartridge Mechanical Seal. Owing to the qualitative fabrication, our range is widely known among the clients for its attributes such as dimensional accuracy, robustness, high tolerance capacity, leakage proofing and longer shelf life. We serve in various process industries including refineries, petrochemicals, food processing, beverage industries, paint industries & pharmaceuticals. Our products with high technology and excellent quality are in all over India with prompt services. We have partnered with the industry's best vendors, to obtain the machinery used in our production units. Our installation and repairing services are provided by assiduous professionals. All these products are made under the expert guidance to deliver maximum quality to our esteemed client base. We have made a recognizable growth in our domain in by supplying our Chemical Process Pumps & Mechanical Seals all over India. Our stable infrastructure, a proficient team of skilled personnel and all processes followed, has made us continuously grow in our core field. Being a customer amiable company, we keep all the processing very fast, so as to deliver all the products in a fixed time frame. We work together to achieve our individual and common goals. We have developed an in-house quality testing unit, where the entire range of products is thoroughly tested on varied parameters to ensure flawlessness and zero-defect. After the products meet the desired quality standards, these are stocked at our commodious warehousing unit, which is managed by a team of warehousing experts. Furthermore, our skilled business ethics and wide distribution network have gathered us vast clientele base to serve. Through indomitable will & dedication of our mentor of the company Mr. Junaid Salema, the company has been able to gain a strong foothold in the competitive market. Our company has gained large clientele success by his effective managing and marketing skills. Our infrastructural base is backed with the latest machines and modern technology based equipment. To make all the business operations hassle free, we have segregated our infrastructure in different parts such as designing, production unit, quality testing, sales & marketing, warehousing. All these units are looked after by our team of talented professionals to effectively meet the high requirements of our esteemed client base. Our thoroughly trained and skilled professionals divided into multiple parts work in coordination with each other to fabricate finest products under our brand name. Our company understands the importance of quality and hence focuses on offering excellent products. We manufacture our products by following rigorous quality control systems to prevent our products to deter from their traits of high efficiency & performance. We initiate these quality systems right from the stage of raw material procurement from the vendors until the delivery of the product. We have a stringent quality control system and testing facilities that enable us to deliver only defect free and high performing range. The entire range adheres to the international standards of quality and hence is highly appreciated for their striking features. 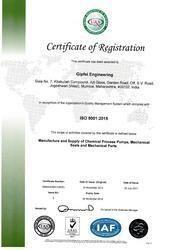 Making available world class Chemical Process Pumps & Mechanical Seals to suit different clients has been possible with our strong sense of integrity, a knack for improvisation and exemplary quality equipment. Our company is supported by a team of skilled professionals having a rich experience in their areas of specialization. With their in-depth knowledge, they are able to execute their skills in an efficient manner and thus compliments in developing a good relation with the clients. We also have skilled research personnel who continuously strive hard to develop new techniques for a cost efficient production.